If ever there were a label that has sought to keep generating interest in the music of classic and modern ELO - particularly when Jeff Lynne had parked up the ELO spaceship both before and after the release of "Zoom" in 2001 - then it has to be Eagle Rock Entertainment with a flurry of notable CD releases in the late nineties and some essential DVD and Blu-Ray issues since. Whereas it could be said that it was naive to lift the soundtrack from ELO's famed 1978 Wembley show straight onto CD, their quintet of releases during 1998-1999 remain much sought after items with prices for the now ultra-rare "The BBC Sessions" and "Live At BBC Sessions" occasionally going for significant amounts on a certain online auction site. Their "Friends And Relatives" 2CD compilation contained many tracks previously not found in digital form and fills many a gap in the record collection of Yours Truly KJS even now. Note also that "Live At Winterland '76" was still being licensed from their somewhat controversial former manager Don Arden at this point, as was "Live At Wembley '78". The advent of the aforementioned "Zoom" and the subsequent relaunches of ELO thereafter saw the remastering and repackaging of the entire ELO back catalogue after Jeff Lynne assumed full control of the ELO brand in 1999, with Eagle Rock switching their attention to the visual aspect of ELO material. Their "Out Of The Blue" Wembley show was paired with the promotional film for "Discovery" by Eagle Vision on DVD at first with the same concert later put out in 2006 with improved DTS, Dolby 5.1 and PCM stereo as well as a nice reproduction of the original 1978 world tour programme. Four years later, Eagle Vision squeezed footage from Brunel University (1973), Rockpalast (1974) and "Fusion" (1976) into the impressive "Live: The Early Years". The Wembley charity concert finally made its debut on Blu-Ray (together with most of "Live: The Early Years" as a bonus) in 2015 hitting #1 in the Official Music Video Chart before Eagle Vision caught up with Jeff Lynne's ELO, releasing the "Live In Hyde Park" spectacular (with "Mr. Blue Sky: The Story of Jeff Lynne & ELO" as a not-to-be-missed bonus) before going on to top said chart (again) for six weeks whilst staying therein for 15 months. Eagle Rock Entertainment have played a significant part in keeping the interest in ELO going for fans and the general public alike over the last two decades and, as far as elobeatlesforever (elobf) is concerned, they should be congratulated for doing so. Note that the forthcoming "Wembley Or Bust" album will include video footage of Jeff Lynne's ELO gig in June as part of the deluxe package as opposed to a separate DVD/Blu-Ray release. 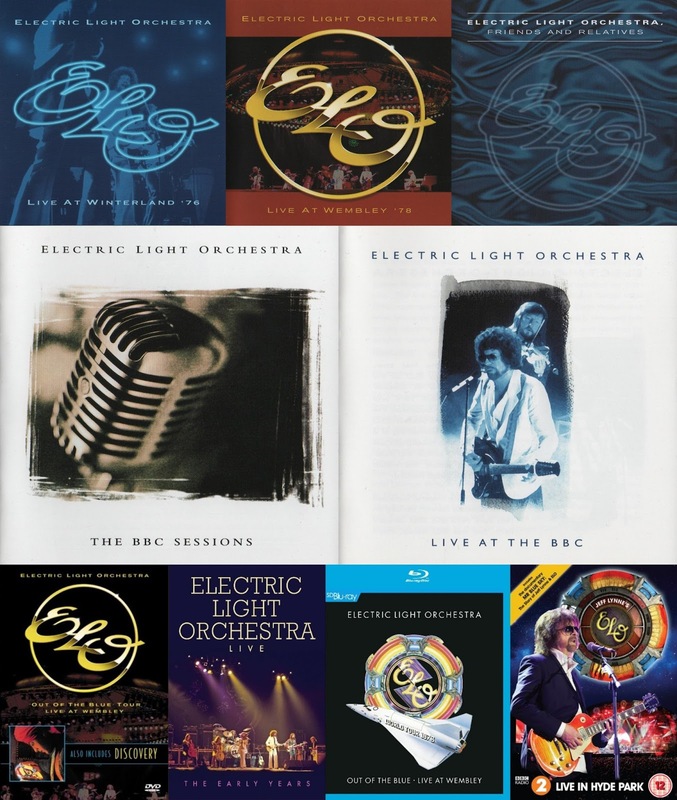 A request therefore is presented to Eagle Vision by this writer: Please can you consider putting out that iconic Electric Light Orchestra Part Two concert with The Moscow Symphony Orchestra at Birmingham NEC in May 1991 (Telstar #TVE1037) on DVD and/or Blu-Ray? I echo your plea on the ELO II gig. I was at the Edinburgh concert, and it was amazing. I would like to have that ELO Part Two concert on dvd as well. I have it on VHS but a dvd of the concert would be awesome.